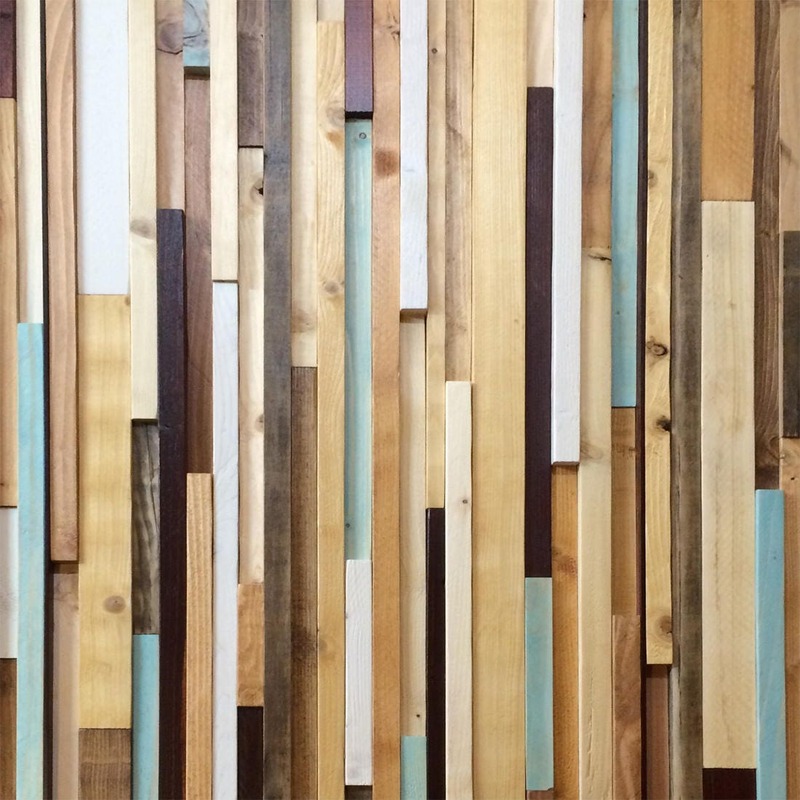 Wall art is approximately 24" x 36". If you'd like a different size please contact me and I'll create a custom listing for you with an appropriate price. 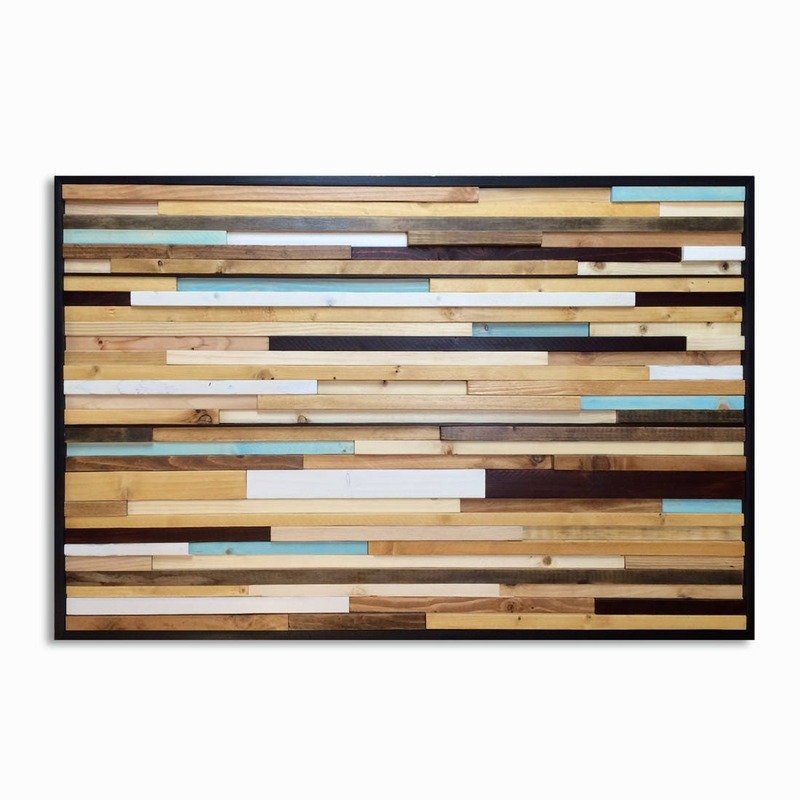 Wall art is made with a hand picked mix of repurposed, reclaimed, and new wood, then painted with wood paint that is partially transparent for a more weathered and rustic look and finished with a UV protective varnish to preserve the natural beauty of the wood. 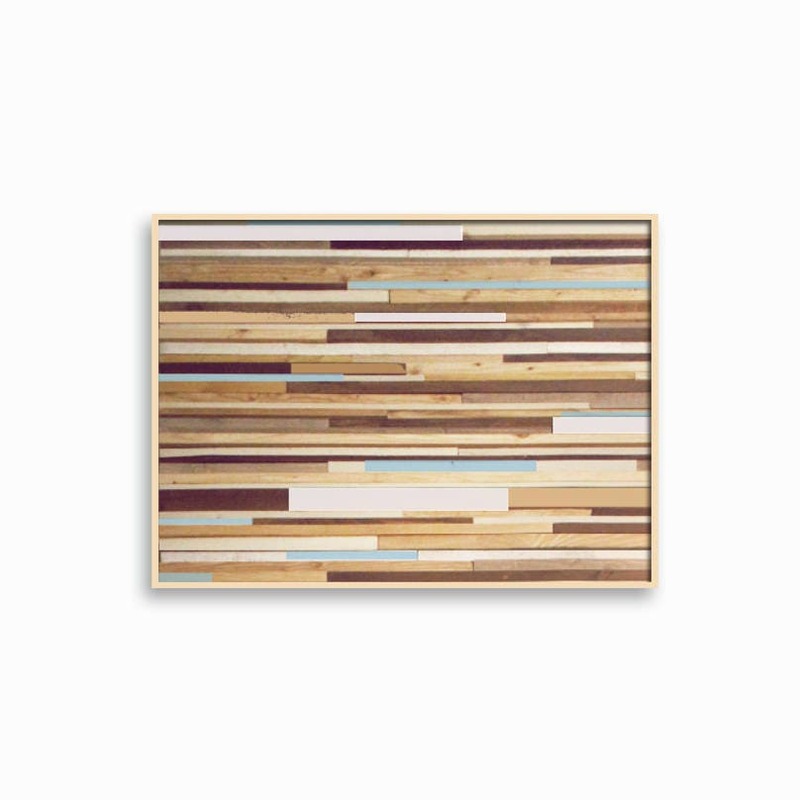 The piece is framed around the sides and stained espresso or left natural pine. Made to hang on the wall. Each piece has hooks on the back for hanging. The piece will hang horizontally unless otherwise discussed.